Valentine’s Day is right around the corner. 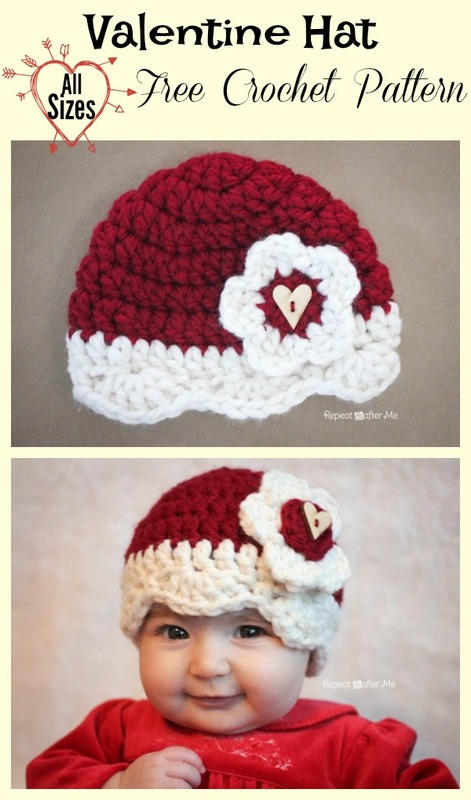 How about making an adorable hat with this Valentine Hat Free Crochet Pattern to feel the spirit of Valentine’s Day? The pattern is available in sizes newborn through adult. It is made with a bulky yarn, so it should work up very quickly. I like the the combination of colors. The hat is super adorable with the Wooden Heart Button (You can choose this cute button from amazon). It’s a great gift choice or you can crochet it for your kid’s school Valentine party. Enjoy. You might also like Valentine’s Day Crochet 3D Heart FREE Patterns.